Sydney’s beaded bodice is an ornate masterpiece, glittering gorgeously in the light. Cap sleeves trail toward her illusion back, where a row of buttons leads toward the contrastingly simple stretch chiffon skirt. 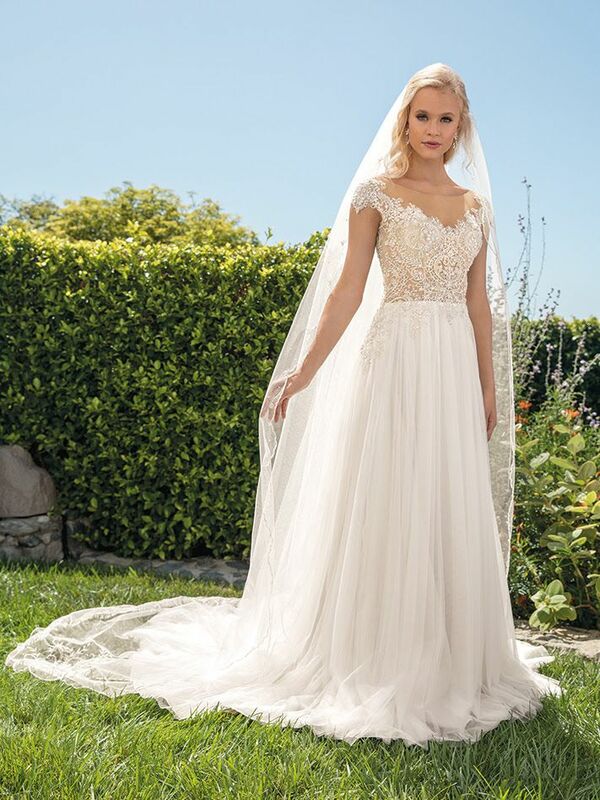 With the removable front lining included, this gorgeously flowing gown provides the option to show as much, or as little skin as the bride desires!